SAS Scandinavian Airlines promotion: Scandinavia to Beijing €234 return! Cheap flights from Oslo to Bangkok on Emirates from €370 return! Alitalia flights from Italy to Santiago de Chile from €449! SAS Scandinavian Airlines promotion: Scandinavia to Beijing from €234 return! This latest SAS Scandinavian Airlines promotion is running till 14th of January. Look for limited travel options in travel period between March and May or November 2019. Blackout period around Easter or Summer Holidays. Please refer to below booking samples from each of the origin cities. All flights are for a return ticket and including all taxes and checked luggage. Travel dates. 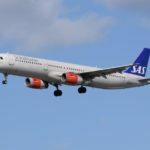 : As they vary by each origin and destination the easiest way would be to search directly at the website of SAS Scandinavian Airlines. Use “Show low fare calendar” to see the lowest fares by months. Booking sample of this latest SAS Scandinavian Airlines promotion: Scandinavia to Beijing from €234 return! In this case you would fly from Oslo to China on on 12th of May. Your return flight from Asia back to Europe would be on 24th of May 2019.